Okay, everybody says Yoga is good for physical, mental, psychological and spiritual health. In fact, it is good for your social health too. You know all this but the problem is, you can’t manage your time to get that quite half an hour when you can practice yoga. As the saying goes, where there’s a will, there’s a way, this problem too has a solution, a practical one. And I mean it! How can a busy professional do Yoga in the morning? So, how does a busy professional like you can do yoga? Experts say, it needs at least half an hour to do that type of yoga which can be beneficial to you and your body and mind. Well, they do mean half an hour in a stretch but because you are a busy professional, you can imagine yourself as a special student of Yoga and carve out small chunks of time- as small as 5 and 10 minutes throughout the day. Believe me, even if you don’t become that flexible as Yoga Gurus are and not that spiritual as Indian saints were, you may actually reap the small benefits of Yoga. And that’s a big deal for a professional like you. Let me tell you some of them. Breathe deeply through your left nostril. Close the left nostril with the ring finger of right hand while releasing the right nostril. Breathe out slowly through right nostril. While keeping the left nostril closed, breathe in deeply through your right nostril. Close the right nostril once again with right thumb and release the left nostril. Breathe out of the left nostril. When you extend your Pranayam practice with as little as a 5 minutes meditation, you remain focused throughout the day with a greater concentration and self control. And yes, you don’t have to learn all those lengthy meditation steps. You just need to breath intentionally and do a little more and that’s all! How? · Your 5 minutes morning meditation is complete. Feel rejuvenated. When you do 2-3 minutes of morning yoga stretches, you are not only neutralizing the ill effects of yesterday’s periods of inactivity but also preparing yourself to keep yourself energized by warming up your muscles. 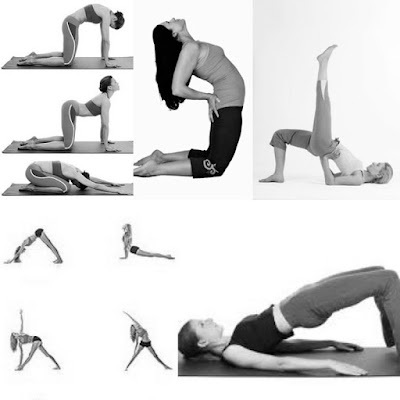 You can substitute these yoga stretches with 1 to 3 rounds of Surya Namaskar Too. Remember, a busy professional of today essentially means long hours of travels and sitting which makes your muscles rigid and painful. Did you just feel that back pain again? This would take hardly 10 minutes of your morning time and you could feel the difference in as little as 3-7 days when you will start waking up refreshed instead of waking up lazily. You would be able to set your priorities right for the entire day. Your mind will become clear and focused which would reflect in high productivity and efficiency at work. Isn’t this just what professionals like you want? This was only 10 minutes of yoga and meditation. What about the rest of 20 minutes? Well, a busy professional like you won’t be able to get time before late evening or night. So, a 10 minutes night yoga is what is needed for you. Did you say, it’s crazy! Evening and night yoga benefits are many. Contrary to modern day exercises, yoga can even be done in the late evenings or at night, before going to sleep. This prepares your body for sleep and relaxes your mind therefore relieving stress. It is often seen that most of the busy professionals suffer from insomnia and reach out to their sleeping pills at night. If you want to sleep naturally without pills, do yoga, at night, just for 10 minutes. But what Yoga? Here are some yoga asanas for deep sleep and relaxation. See the video below for clear understanding. Please consult your doctor before doing any exercise, including yoga asanas and take expert help from some Yoga teacher. So, morning yoga and evening or night yoga are fixed for the two extremes of the day. The rest of the day, you are busy doing your office or professional work. But at times, you feel really stressed or low on energy. Sometimes, your body feels rigid. These yoga exercises are for those moments. When low on energy, high on stress, feel like recharging yourself, do Viparit karini yoga or the legs against walls yoga pose. This can be done in the evening when you return home. At this time, you are stressed most. This yoga will help you relax. Whenever you feel physical or mental tension, do this yoga asana. 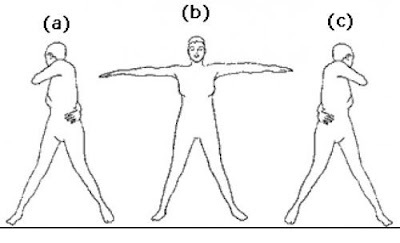 It’s easy, you just need to stand and rotate your waist in a proper manner. This will also relieve the stiffness that you might feel in your neck, shoulders, back, waist and hips. Look over your right shoulder, as far as you can see but only to that extent at which you are comfortable. Whenever you feel stiffness in your neck region, do these yoga asanas called ‘Greeva (neck) Sanchalan (movements). Busy professionals of this digital age spend more than half of their day in front of their laptops or desktops and remaining day in front of mobile phones, digital tablets and I-pads. As such, stiffness in their neck is nothing unusual. 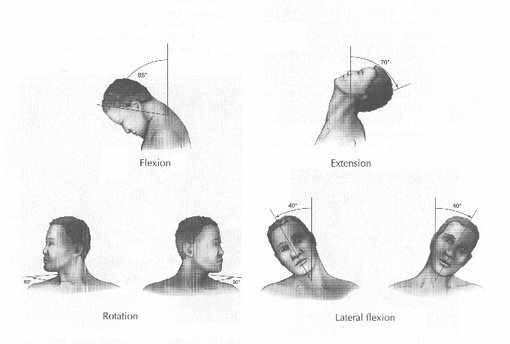 These neck movements will help you a lot. 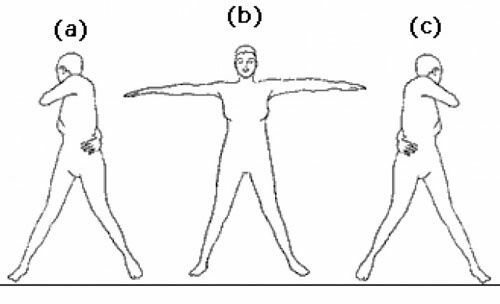 Sit or stand in a comfortable position with your back and neck straight in one line. All these random yoga exercises will need about 10 to 15 minutes of your time but not at a stretch. This makes 30 minutes of yoga possible for a busy professional like you! So why wait? Start doing yoga from today itself!